There are many factors that determine the quality of sleep that you get. 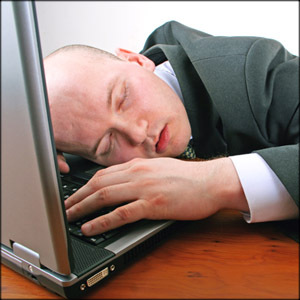 Everyone on our planet is susceptible to becoming a victim of a lack of sleep. High powered executives who experience tremendous pressure on the job as well as the everyday working man trying to take care of his family are equally at risk. Lack of sleep is a part of most of our lives, but we need to do everything in our power to fight it in order to counteract the negative impact that it will have on our well being. Lack of sleep is a problem that is easily recognized by those who suffer from it. Some people don’t realize that insomnia, whether moderate or severe, has several other problems associated with it. Sluggishness is one of the most common minor complaints of those who experience lack of sleep on a regular basis. Lack of sleep can affect your alertness, making everyday tasks more difficult than they otherwise might be. An inability to focus or think clearly can affect your performance on the job. The saying is true that things always look better in the morning. Restful sleep is definitely a mood regulator. The brain depends on all of the sleep cycles to repair, rejuvenate, and regulate. Some consequences of lack of sleep are more serious than drowsiness. Trouble sleeping can cause you a lot of problems when you get behind the wheel of a car. Other consequences are not felt so quickly. It is a well known fact that those who experience prolonged periods of poor quality sleep are prone to serious illness. The body’s ability to fight off sickness is directly linked to both the quantity and quality of sleep that we get. Those who regularly skimp on their sleep time have a higher likelihood of developing hypertension and other related complications. Sleep Help - What to do? Do you suffer from a lack of sleep? The amount of sleep that our bodies require changes throughout our life. Experts recommend that normal healthy adults get seven to eight hours of restful sleep each night. Babies and young children need much more sleep than adults to help with their growth and development. Some people mistakenly believe that senior citizens require less sleep as they age. This has never been scientifically proven. If you experience lack of sleep there are several things you can do to address it. It is always good to be careful of what you eat and drink in the evening. Avoid foods that contain stimulants such as caffeine. Exercise is also a great option in the fight against insomnia. Another important thing you can do is create an area in your home that is devoted entirely to sleep. This area must be free of phones, televisions, computers, or any other stimuli. Put these tips into action and you should begin seeing improvement shortly.